Threejacks had the most liked content! I dont see any reason to think it will be anything but a warband based skirmish game.Likely more detail in character/unit developement as well as additional gameplay mechanics.The box says "Skirmish" so this will likely take the lead over the current version of skirmish. I would expect warscrolls for AoS play with all new models,,mainly since virtually every model released in games related to AoS have warscrolls and points for use in the main game as well. I also highly doubt the game will remain Chaos focused,the game wont survive otherwise.On that note,starting the game out with what appears to be mortal Khorne/Chaos units seems a great way to keep the first rules set tight with having a focus on melee only(like they did with Shadespire) and of course magic mechanics will be minimal or non existant to start with as well.Im sure it wont be long until we see the other GA`s recieve their expansions along with those Magic and Ranged rules and likely other game mechanics as well. This is a mega release for Destruction! So far as whats leaked and known,,there is likely several viable competative builds in this mix.Grots(of course),Spiderfang army,Troll army and one that is looking very interesting,,the all Squig army as Squigs will be battleline if the General is a loonboss.The Hero on Mangler will give squigs +1 to wound. Spiderfang will probably be the MW dealing army,,poison is buffed from the Bad Moon now to trigger on a 5+,,like the spider bosses ability,this coupled with a command ability on an Arachnarok Hero that doubles its venom ability will result in each successfull bite of 5+ being d3 x2 MWs.The base riders look to be the same price at 100 per 5 with a 60 pt break(I think it is) at 30 models. There is also talk of "soup" builds ,,point cost of battalions will decide how effective and if its possible. Hard to say at this point how much play the Endless spells will see,the cauldron looks usefull for a grot army,the Mushroom looks fun as heck to throw on a camped backfield objective. The army isint looking OTT in terms of power creep so far,,which is good.Though a block of 60 spear grots will cost 360,have a save of 4+vs shooting(5+ in combat) ,base hit of 5+(rr 1s if under the moon),wound on 2+ with 2" range weapons,,one attack each, though the Sporepuff fanatics can double that number of attacks.With the AoS 2.0 rules the low bravery will not be a problem at all as a player can save a CP to inspire them if needed.This should put them on par at least with other horde battleline units,,buffed they should be on the power level of skeleton blobs. The Squig based armies are looking solid as well with the new armored hoppers,these guys coupled with the Mangler boss should be an excellent flanking force with good speed and they now have flying!,,so yeah pile in over the top of the opponent for wrap.The regular hoppers can be annoying as well with their even greater speed and fly over effect reliably causing a solid amount of MW output,they do suffer with a 5+ save though,,however the army is priced right to present several threats all at once so theres that. The only downside stuff ive been hearing is that the Gitmob Grot stuff is being removed from the game,,this could spell the end(for now) of the Doomdivers,Catapults and Flinger models along with the regular grots..those warscrolls will probably remain in legacy though but without keyword support they may not find much use anymore.Need to see the tomb to confirm this. Just wrapped up my last 5 models yesterday,,all painted and ready to go! Speaking of painting,,have one player wanting to know what the painting standard is?..I know its 3 color min and all that but what specifically is the standard for the event? OFCC 2018 AOS Player Packet Published! 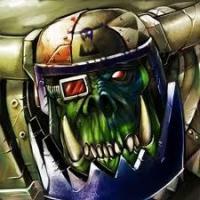 The recent FaQ has pretty much dealt with the command ability stacking issue by changing many warscrolls to denote that they cant stack,however there are those that have seem to be intentionally not changed and im wondering if stacking with those will be allowed?..one that comes to mind is the Ironjawz Waaagh and Mighty Waaagh abilities. Wondering about interest in an escalation league over the next few months? Im running an escallation league up at Geeks and Games in OC that starts this friday at 6:00:) July is 500 pts and it goes up by 500 per month up to 2500 in Nov,,we are topping it off with a grand battle over 4 tables linked with realmgates.There is a 10.00 per month fee that pays for monthly prizes for best painted,best sport and the top points leader,I have a points system worked out for this.There is also a 10% discount on store purchases on league night. We regularly have anywere from 4 up to 12+ players each week.I only play if theres an odd number of players so I garantee you will get a game,,come check it out! I see that Malign Sorcery is listed as an expansion to the main game.What are the plans for the OFCC event? Fully allowed,parts or none at all? Magore`s are probably the best face smashers in the game right now,though they have issues with the larger warbands that tend to play objectives or a more "hit and run" type game.Farstriders are a tough band to run,,I really like the way they play,as in the options available to them however they seem to be a bit too much of a "jack of all trades" warband and thus are difficult to score consistantly with. Im probably going to switch over the Sepulcher guard for a bit as I do like to play objectives and they are probably the best at it,My current AoS tourney list is LoN so this way ill be playing the same GA throughout OFCC. All signed up and payed! Farstriders! All payed up now..though there is no way to register on the roster at BCP,,or am I missing something? Death has massive options now with the latest Legions of Nagash release,,they dont need shooting .Mixed Destructions is still quite viable as well,,what would be nice for them is to have some spell lores though.The legacy warscrolls that didnt become part of a new army are rarely seen anymore,pretty much all the legacy units that were not incorporated into the new AoS factions are considered sub par in most every way now.There are players on facebook that have been working on long term projects though,,like a updated Tomb King Battletome and such,,its actually very cool work too as he incorporated the TK fluff into the mortal realms with some fantastic artwork usage and his models look awesome..so theres still that aspect but its fully hobby only and not geared toward the competative side of gaming. I believe most all of the legacy Destruction line has been fully incorporated into the AoS Destruction armies now not sure what you mean about Goblins having most of their support units in legacy... Dropping models lines while bringing in new ones is all part of business,,especially when you are probably the biggest toy soldier company in the world.Alot of the older line models were dropped for reasons not directly related to effectiveness on the table.. like they were too spindly and broke easily,much harder to paint and or too many components and thus mold sections or not enough pieces for a good looking final sculpt.I know that the new models are much more hardy when it comes peices breaking off,though the Sylvaneth are at least one faction were this is still an issue.For the most part though,even the new 40k stuff is much more hardy from what ive seen,,I welcome this approach. Ive been selling off my legacy models as they become obsolete,and most recently let my complete metal(unbuilt) Black Coach kit go for a smooth 65.00,,twice what I payed for it years back.Unbuilt in wrap Necrosphinx went for over 100.00..I think im down to just skeleton archers now,,probably let those go soon as well. Legacy armies are continuing their slide into obscurity...with all the added features of the new armies as well as those that have a few pages of update in the recent GH,there is no real reason to play the old armies in AoS.I would say at this point,players hoping that the old world armies will at some point be getting some love,they should move on..or of course there's TW2 which ,for me and my son,is a great fix for that old world warhammer desire. AoS is forging ahead with what's looking like a solid second edition release,I know our group at Geeks and Games in OC is stoked for it! Welcome to the game:) Not much is known about the upcomming "command point" system other than it should be similar to what 40k has in that each faction will likely get a point allotment along with some specific abilities to spend the points on.Im guessing somewere between what 40k has and what was introduced with the Malign Portents game suppliment.We have had a good time playing with the Portent cards so this will make a very welcome addition to the base game. Just knowing now that shooting out of combat will not be allowed tells me that there will likely be some rather substantial changes to the base game mechanics,,though its also quite possible that the ability/points system will be the new mechanic to offset the effects of this.